Automation Components, Inc. — ACI won the 2013 ControlTrends Awards Small Manufacturer of the Year because the ControlTrends Community voted ACI 2013’s top manufacturer and distributor of sensors and integration accessories vital to the Heating, Ventilation, and Air Conditioning (HVAC) Industry. Founded in 1991, ACI continues to grow and now employs over 160 quality individuals! As we prepare for another exciting and entertaining evening of ControlTrends Awards memorable moments, meet Honeywell’s Roger Rebennack, Laura Kevitt, Patty Hall, and the eventual 2013 Executive of the Year, Honeywell’s Tom Rosback as they celebrate the 2013 ControlTrends Awards at NCY’s BB King Blues Club. 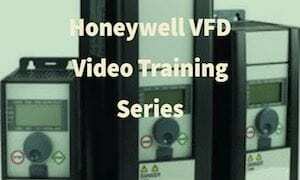 On The Red Carpet With Honeywell from Eric Stromquist on Vimeo. Congratulations to Ed Merwin from Tridium and Mike Marston from Easy IO, co winners of the 2013 ControlTrends PID Award. The PID Award is an honor bestowed on an individual(s) that consistently exhibit the qualities of Professionalism, Integrity, and Dedication by the world wide ControlTrends community. This week’s ControlTalk NOW gives notice of the upcoming HVAC and DDC classes at the new Stromquist Atlanta facility; More highlights of 2013 ControlTrends Awards Winners; More DOE Stimulus money; More excitement builds as Belimo’s new facility opens in October; Contemporary Controls and KMC Controls come on as Platinum Sponsors; Marc Petock’s Cyber Security update; and Therese Sullivan poses the question, does IoT or OT, hold the pole position? Stromquist Atlanta Upcoming Classes: The following classes are held at Stromquist at 4620 Atlanta Rd, Atlanta, GA and begin at 7:30 a.m. unless otherwise noted. 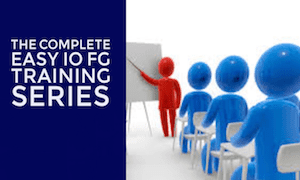 Prices include training material and certificate of completion, plus continental breakfast and full lunch. For more information contact nancy@stromquist.com. To register, click the Class Registration tab at the top of the page. Chiller Workshop – August 20-21 focuses on basic operations, maintenance and troubleshooting of chilled water systems. Topics will include basic refrigeration cycle of water chillers; design and overall op-eration of chilled water systems; and more. ControlTrends Awards Highlight— The 2013 HVAC Controls Vendor of the Year: Congratulations to Johnson Controls winner of the 2013 ControlTrends HVAC Controls Vendor of The Year. 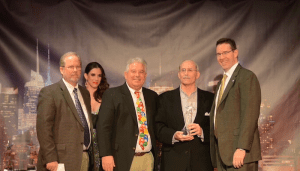 Johnson Controls was selected by the world wide ControlTrends Community to receive the 2013 HVAC Vendor of the Year honor. Johnson Controls is about creating Comfortable Environments! Message from JCI: Every one of our HVAC controls is created with one thought in mind – to keep people comfortable. Belimo is Moving! Place Your September Orders by Aug 1st — Aug 15th, 2014 and get 60-Day Payment Terms! Belimo Americas headquarters will move to a new energy-efficient facility located at 33 Turner Road, Danbury, Connecticut. Place your September orders by August 1st through August 15th, 2014 and we will provide you 60-day payment terms to encourage early ordering. To maintain delivery schedules during the move, production lines will relocate in stages from September 8 through 30. ControlTrends Awards Highligh — The 2013 Building Application of The Year: Congratulations to DG Logik for winning the 2013 Building Application of the Year. DG Logik’s graphics and analytics package, DG Lux, is used by building automation controls professionals and end users across the globe. DGLogik, Inc., provides innovative IoT software solutions that enable and visualize the (IoT) Internet of Things. DGLogik products illustrate the internet of things by allowing users to easily interact data from diverse IoT devices and building automation controls devices that allow owners to better manage cost and energy efficiency. 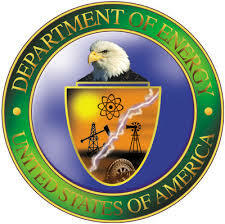 Energy Department Invests $6 Million to Increase Building Energy Code Compliance Rates: The Building Technologies Office (BTO) has awarded $6 million to fund projects that will: Measure current residential energy code compliance rate using a methodology that provides statewide results with 90% reliability; Implement an education, training, and outreach program designed to increase residential building energy code compliance; and Measure the post-program residential building energy code compliance rate using the same methodology employed in the pre-program study. Therese Sullivan Asks — How do You Spell IoT Smart Building Analytics? 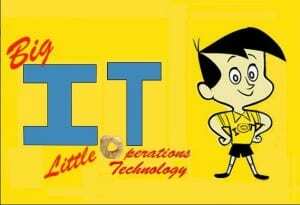 All the Big IT companies are running campaigns touting their role in the coming Internet of Things (IoT) computing era. A common vision is that software, particularly mobile apps, will reign supreme over embedded systems-on-a-chip, sensors, wireless communications and other components making more of the physical world digitally addressable. But, it is building automation and control firms – sometimes called OT, or operations technology companies – that have had to slog through decades of navigating relationships with big equipment makers to tap silo-ed data and do the necessary integration. Contemporary Controls — Your Ideal Partner for Applying Network Technology to Automation Projects: ControlTrends is delighted to announce that Contemporary Controls will be a Platinum Sponsor for the 2014 ControlTrends Awards at the 2015 AHR Show in Chicago. Contemporary Controls is a leading manufacturer of Industrial, Building, and Commercial Automation Components; Communication and Network Devices; and Building Automation Controllers. George Thomas and Contemporary Controls are ready to assist with your next project! 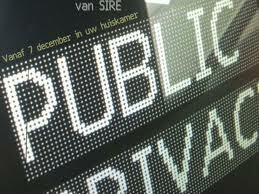 KMC Controls is on the Move! Joins 2014 ControlTrends Awards as Platinum Sponsors: ControlTrends thanks KMC Controls for their 2014 ControlTrends Awards Platinum Sponsorship! A little bit about KMC: Since 1969, KMC Controls has been helping facilities achieve higher levels of indoor environmental quality and energy efficiency by automating and controlling building systems. KMC innovations include pneumatic and electronic control devices for heating, ventilation, and air conditioning (HVAC) applications; a complete line of fully programmable digital hardware and intuitive software for local and remote web-based facility management. Executive Briefing — Cybersecurity — Points That Need to be Part of the Conversation: By Marc Petock, Vice President, Marketing, Lynxspring, Inc. Today’s connected business world means there are thousands of entry points in and out of companies. The truth is that network security does not work as well as we thought. Hacks, breaches, vulnerabilities, threats we can’t ignore them. They are undesired events. Cyber threats are changing constantly. Threats are targeted, and they continue to get even more targeted. It used to be a virus was thrown out there and whomever it hit, it hit. Congratulations to DG Logik for winning the 2013 Building Application of the Year. DG Logik’s graphics and analytics package, DG Lux, is used by building automation controls professionals and end users across the globe. DGLogik, Inc., provides innovative IoT software solutions that enable and visualize the (IoT) Internet of Things. DGLogik products illustrate the internet of things by allowing users to easily interact data from diverse IoT devices and building automation controls devices that allow owners to better manage cost and energy efficiency. If you want to make your building smarter it starts with the right visualization and data management tool.Using customizable applications and big data dashboards, DGLogik delievers a package that allows users an elegant, affordable way to manage, measure, control and analyze big data from any IoT device anytime, anywhere. Congratulations to Johnson Controls winner of the 2013 ControlTrends HVAC Controls Vendor of The Year. Johnson Controls was selected by the world wide ControlTrends Community to receive this honor. 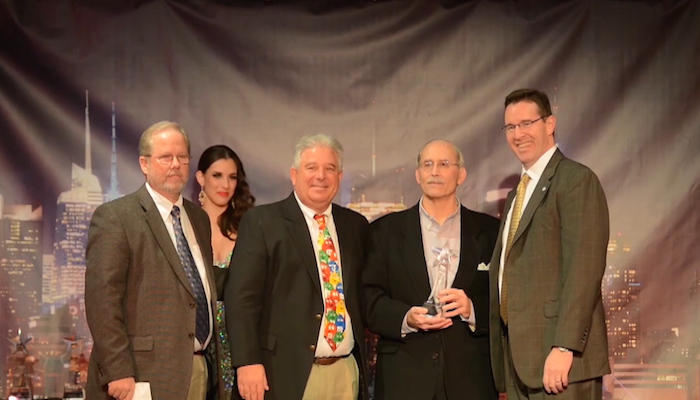 2013 HVAC Vendor of The Year from Eric Stromquist on Vimeo. Share in all the excitement as we look back at the 2013 ControlTrends Awards and watch as Ed Merwin from Tridium and Easy IO’s Mike Marston are announced as Co winners of the prestigous PID Award. 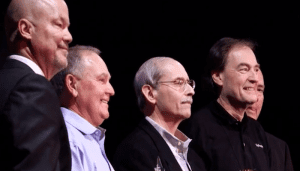 The PID Award, which stands for Professionalism, Integrity, and Passion, is one of the highest honors possible in the HVAC and Building Automation Controls Industry. In a field of dedicated professionals and deserving nominees, Ed and Mike were chosen by the world-wide ControlTrends Community to receive this Award. Congratulations Ed and Mike! 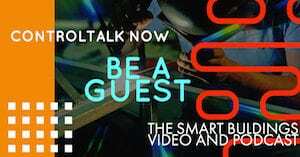 Welcome to ControlTalk NOW for week ending March 30, 2014. Spring is in the air (finally!) and the baseball season begins. This week’s guests are OME Solutions’, Rick Warner, AKA the INNOVATOR, and Honeywell National Accounts Executive, David Witherspoon, who gives ControlTrends the big-picture perspective of the vast resources national accounts require. The ControlTrends Awards is an amazing concept of cohesive goodwill. It is a time when we come together as an industry and celebrate as kindred spirits. We encouraged Vladamir Chaloupka to take complete artistic license in capturing the 2013 ControlTrends Awards and apply his professional lens and talents to our HVAC Industry, and this Vlad certainly did. Belimo SY Actuator for Butterfly Valves: Belimo’s SY Series actuators were designed to work with their butterfly valves and other quarter turn valve applications. The patented gear drive mechanism provides for efficient, smooth operation while allowing easy manual override at any time. 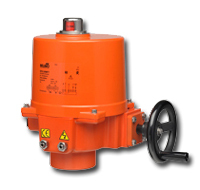 The SY actuators are NEMA 4, 4x rated and designed to meet the needs of HVAC and Commercial applications. Offered on the HSU and HS butterfly valve series, these actuators are available for on/off and modulating applications. Depending on the application, they are available in 24 VAC, 120 VAC and 230 VAC. Today’s Realcomm Live Webinar: BAS, BMS, EMS, BOS – Uncovering the Smart Building Platform. Today’s LIVE Webinar: 12:30pm – 2:00pm EDT We’re starting to see widespread acceptance of the concept of a smart, connected building. While considering a comprehensive plan that involves operations, energy, sustainability and occupant systems, there arethere are myriad challenges but the opportunities of connectivity, integration and interoperability are extraordinary. 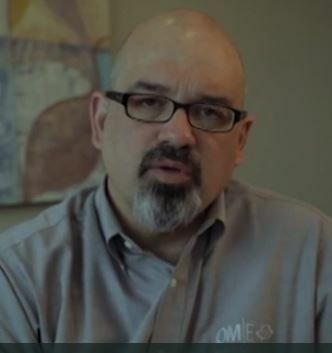 ControlTalk NOW first guest is the president of OME Solutions, RICHARD K. WARNER, PE, LEED BC&D, CEM, DCEP, CXA, EBCP. The string of titles and certifications after Rick’s name give immediate testament to the wealth of knowledge and experience Rick possess and so willingly shares with the ControlTrends community through his Innovation Corner. Rick, AKA, the INNOVATOR, will be back — providing much important content in the upcoming weeks. Don’t miss the INNOVATOR series! 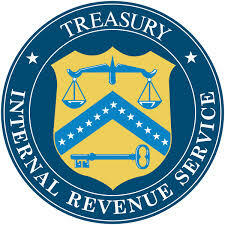 IRS Virtual Currency Guidance & March 26th Update — In Case You Were Wondering. On a not too distant ControlTalk NOW, the subject of virtual currency and Bitcoin as a virtual payment, brought up some interesting dialogue, which left us speculating on the future impact it may make to our industry, if any impact at all. In either case, for the benefit of our ControlTrends Community, here is the latest information from the IRS concerning virtual currency. Honeywell Paperless Recorders: Honeywell offers Trendview data recorders and an advanced analysis software suite to meet data recording needs. Three models are available with screen types that display various combinations of horizontal and vertical charts, digital values and bar graphs. 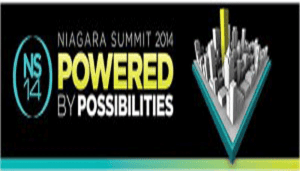 Niagara Summit 2014 Awards: Call for Entries! Since the last Summit, have you launched a new product that is based on or interfaces with the Niagara framework? Have you completed a Niagara-based project that exemplifies innovation, creativity and collaboration? 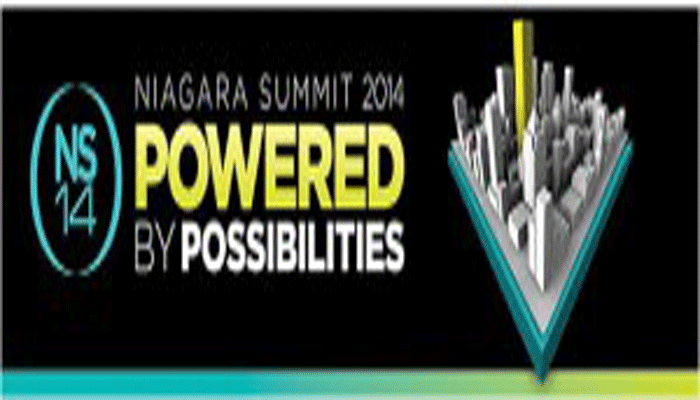 If so, we hope that you will submit an entry for two new awards that Tridium will be presenting at the Niagara Summit to customers for exemplary industry achievement. 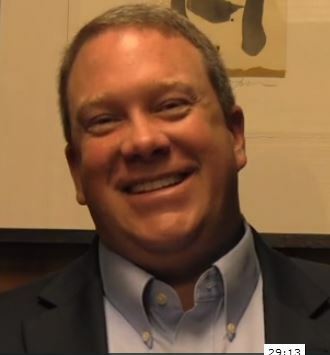 Our second guest on ControlTalk NOW, Honeywell National Accounts Executive, David Witherspoon. David provides great insight on how Honeywell has many channels to offer their national, even global customers with the open and consistent solutions they need and how products like Honeywell’s RedLINK wireless products now add to the modular concept of increasing the value of solutions over time. “Just Because” — Improved Energy Efficiency Insights from Marc Petock, Vice President, Marketing at Lynxspring. Lynxspring is changing the way devices and systems communicate and collaborate across enterprises. Energy efficiency continues to be the largest contributing factor to flat-lining electricity use. The decline is due to many factors, from changing weather and economic recessions to the wider adoption of energy efficiency measures. But it is the latter that might explain the trend in recent years, according to a new study from the American Council for an Energy-Efficient Economy. <ahref=”http://traffic.libsyn.com/hvaccontroltalk/78_Episode_78__ControlTalk_Now__HVAC_and_Building_Automation_Control_News_You_Can_Use.mp3″ target=”_blank”>Click here to listen to or download the Podcast version of ControlTalk Now. 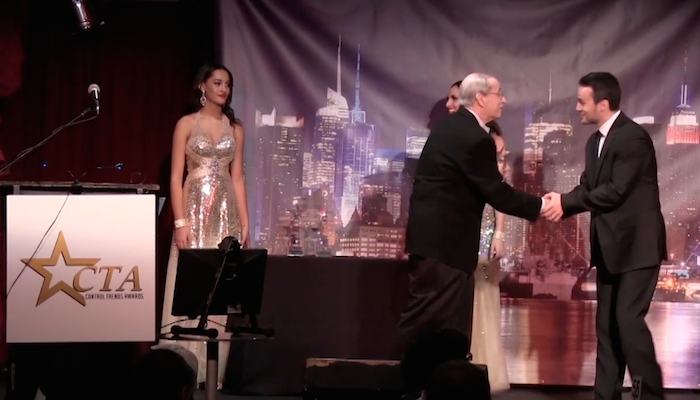 Check out some of the stars from Honeywell: Roger Rebennack, Laura Kevitt, Patty Hall, and Tom Rosback, as they walk the Red Carpet and get interviewed at the 2013 ControlTrends Awards. The Honeywell team took trophies home in four ControlTrends Awards categories: Thermostat of the Year: Honeywell Prestige RedLINK, Marketing Tools and Support of the Year, Building Automation System of the Year: Honeywell WEBS, and Executive of the Year: Tom Rosback.